By LUDWIG VON KOOPA - Real talk about the Squid vs. Octopus Splatfest result. Hey. This isn't Ludwig. It's Squidwig. I'm back after a VERY long absence (check out my article history in the links below the footer — the latest was 2015), because I can't just let that Koopa guy not talk about the results of the Splatfest that just happened: Squid vs. Octopus. And, let's get real, it's Inkling vs. Octoling. 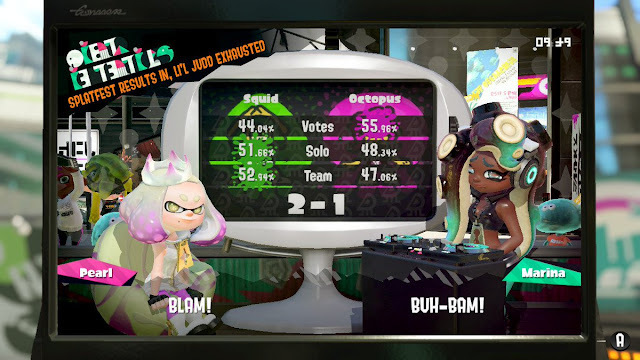 Team Squid won the Splatfest because of battle performance. Team Octopus won popularity by 12 points. Let's talk about that votes row in the results. Team Squid got 44%. Team Octopus got 56%. 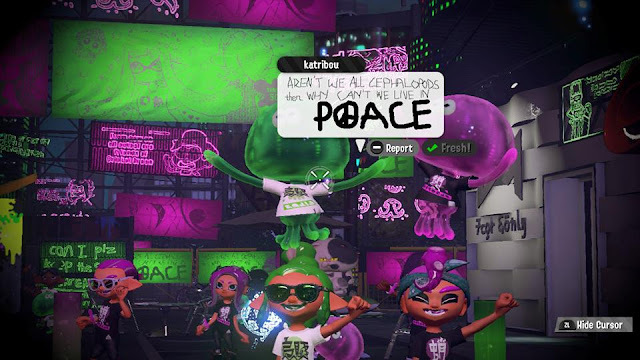 Pretty much every Inkling in Inkopolis Square voted for Team Squid, and every Octoling in Inkopolis Square voted for Team Octopus. Do you know what that means? The Octoling is enjoying the Inkling's foolishness. It's not wrong to defend Inkling culture and your own race. The Octarians specifically are coming to the surface in Inkopolis because their own civilization is screwed up and run to the ground. Why would we want that imported here? What happens to the culture when squids are a minority? Will we still have Squid Parties? Squidbagging? The Ninja Squid ability? 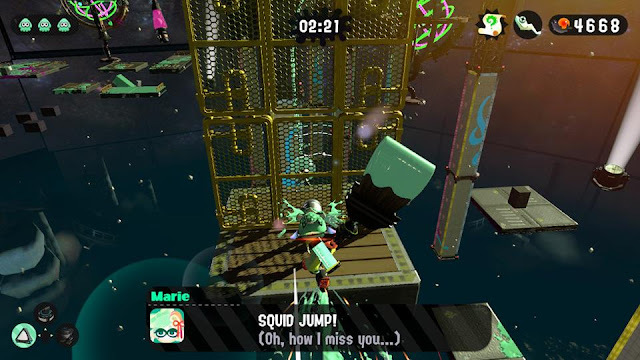 Marie, the legendary SQUID Sister, misses Squid Jump, which is banned from Inkopolis following the Octoling invasion. Is Ancho-V Games banned from making a sequel to Squid Jump because it's politically incorrect? That's a definite loss to squid civilization. But in his article, Ludwig made the absurd assertion that Octolings are assimilated into Inkling culture because they both say BOOYAH! 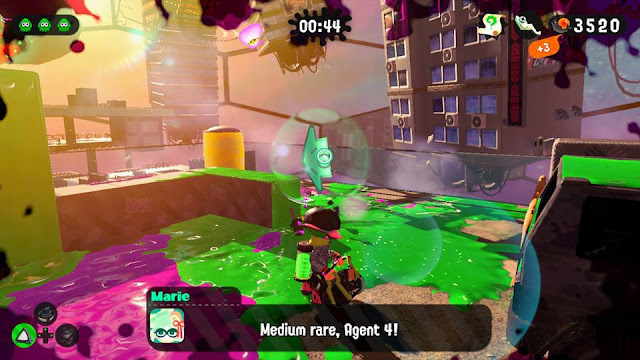 after a Salmon Run shift for Mr. Grizz. But that makes no sense. Listen to what's actually being said. Inklings say “WOOMY!” and “NGYES!”, but Octolings say “VEEMO!” and “OOMI!” That's not assimilated. That's different. It's a different language. They're not learning our language. Are we going to have to print out materials in multiple languages now, doubling costs? The Octarians are even making their own holidays and trying to broadcast it to the rest of us — Octivus. You think I'm going to let them water down Squidmas with that?! 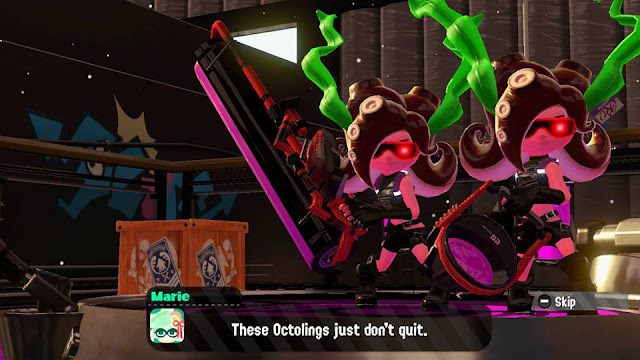 The Octolings are hogging the equipment in Musselforge Fitness, so Inklings can't use anything! That's a takeover, not assimilation into civil society. Fortunately, an excellent thing happened last weekend: Despite being outnumbered by waves of Octarians, the Inklings have pushed them back and have retained control over Inkopolis through skill and determination. Inklings and squids are now legally superior to Octolings and octopi. For now, that doesn't mean anything, but in time, legislators will have the opportunity to strip these Octarians down of their privileges. Take away their weapons. Soon, we can begin deporting them back underground where they belong, and have Inklings be the majority in our own society once again. The only good Octarian is a medium rare Octarian. Squidwig is a staunch supporter of the Squid Sisters, and thinks something is off about Off the Hook. The only way he managed to get this article published is by pretending to be LUDWIG VON KOOPA in the byline — since KoopaTV never reads its own articles after they're published (hence the multitude of typos throughout the website), that means Squidwig's message should be safe from Koopa censorship. Red pills for everyone! Squidwig was born promoting I'm a Squid Now, I'm a Kid Now. Of course, Squidwig promoted the actual release of the first Splatoon on release day. Squidwig identified the reason for the resource crunch that forced Inklings and Octolings to fight one another: the EPA. Finally, Squidwig saw a big threat to Inkling culture with The Turf War on Squidmas. It appears that the Octarians trying to take over the holidays have failed. CAPCOM Summer Sale 2018 — Ace Attorney, too! Mario Kart 8 Deluxe Future Updates: Trump Pack!